Time and again we have discussed the importance of packaging and labeling to enhance customer experience. Everyone considers packaging to be the material that covers a product, but did you know that there were types of packaging as well? Packaging is an art and science simply because you cannot just use a standard type of material and packaging for all types of products. Depending on the type of product, the packaging also needs to be changed. Rigid Packaging:this is the form of packaging that includes designs like cardboard or plastic boxes, tines, jars or any other type of container you can possibly think about. This type of packing provides maximum protection to a manufacturer’s product contents and are heavier due to the materials used. However, rigid packaging is slightly expensive when compared to flexible packaging. Flexible Packaging: this includes all types of lightweight bags, sachets, pouches and all other packages that can be easily sealed when put under pressure or heat. Unlike the rigid version, flexible packaging is less expensive but at the same time provides only minimalist protection for a manufacturer’s products. Usually, this packaging is not shock resistant and causes the contents to get crushed when pressurized. There are obvious pros and cons between these types of packaging, wherein certain scenarios both are interchangeably used. As mentioned, rigid packaging is a little heavier and denser than flexible packaging, making it much more suitable for certain types of products that are fragile and needs better protection. In cases where durability and barrier properties are of paramount importance, flexible packaging is better. Rigid packaging can easily be affected by dents and scratches, which damage the manufacturer’s label for the brand. In the case of flexible packaging, the chances for this is close to zero. Therefore, manufacturers are choosing flexible packaging nowadays. Flexible packing versions also provide more room for creativity and customization of the branding labels. Flexible packaging companies find it easy to create virtually any design and have it printed on the package at feasible costs. This is difficult in the case of rigid packages because no matter how much you try; you are going to spend a lot of money, which in turn will harm your budget. Through these pros and cons and it is evident as to why there is a growing trend in the use of flexible packaging designs for products. Manufacturers are switching to this version simple to gain benefits in terms of costs and also because this is greener and environment-friendly when compared to rigid packaging. Now it is time to develop a better understanding of flexible packaging. Since flexible packaging materials are designed to be lightweight and easily modified, the materials used are components that enable these properties. Before we understand the types of materials used, it is important to understand the varied types of flexible packages that are manufactured. Pillow Bags: most widely used and seen in any shop, these are a very economical packaging design developed by the major players in the industry. It comprises of two flat panels that are sealed together at the top as well as the bottom using a vertical seal at the back of the packet. Mostly you would be familiar with this style of packaging for chips, fractional packets of coffee, nuts and single-serving snacks. Doypacks: also growing in popularity this is a flexible packaging design that has an oval base, which enables it to act as a stand-up pouch. Mostly premium products in many industries such as powder supplements, dish washing liquids, and organic face packs use this type of packaging. Quad Seal Bags: unlike the oval base in the Doypacks, these bags have a rectangular bottom. This bag comprises of two side gussets and two panels joined together using four vertical seals. The best example of this type of packaging is premium coffee brands. Flat Bottom Bags: these are very similar to quad seal bags and features two gussets but has only a single vertical seal. This is the packaging mostly used for pet food. Gusseted Bags: these are similar to pillow bags, however, they are designed with side gussets. This feature enhances the internal space of the bag. Three Side Seal Bags: these are pouches that are flat and sealed on three sides. The fourth opening of this pouch has a zip-lock or a zipper, which enables you to reuse the cover. It is used to sell pet snacks, organic products etc. Sachets: these are small, flat four-sided sealed packets, perfect for one-time use. Many restaurants deliver spices and ketchup in sachets, which means that once opened cannot be closed. Stick Packs: these are narrow pillow bags, generally used to sell single-serving powders and liquids. A great example of this would be 3-in-1 instant coffee packs. In order to make these packages, the packaging machines process a layered material known as film, which is usually made of plastic. These films are used to produce the bags, pouches, sachets, and sticks in a cost-effective and lightweight manner. The plastic material used makes it easy to seal the bag when exposed to heat. In order to create the bag shape for most flexible packages, the machines involved use a large roll of plastic film and wind it around a hollow core, known as rollstock. This is how the bag shapes are manufactured as per requirement. In cases where the manufacturer does not want to use rollstock to create bags, they use something known as a premade pouch. Sometimes this film is available from the machine manufacturer or it can be bought from a separate entity. 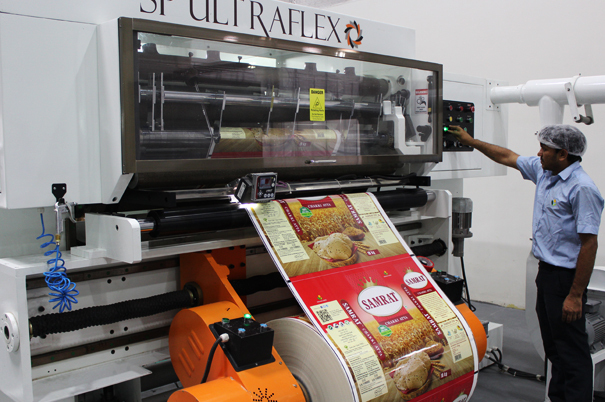 The packaging industry is growing in the number of automated machines that are being launched. This growth in technology has helped design machines that require low floor space, saving space in the production house. There are two major automated machines that are being used and they have been explained in the section for your understanding. Form Fill Seal: these are the most commonly used machines within the industry. The machine performs the duties of, as per its name, forming bags, filling them with the contents and finally sealing the bags. There are two methods of conducting this process, vertical and horizontal. Vertical form fill seal (VFFS) are deemed to be better than the horizontal form fill seal machines. The major advantage of the VFFS is that it takes up limited floor space and does production at economical costs. Therefore, this is the choice of most industry leaders, as it helps in reducing costs and save square footage. Within this type of machinery, there is a Multilane Stick Pack and Sachet machines as well. These are specialized to form fill and seal stick pack and sachet types of flexible packaging. These machines are designed to create multiple packages at a time. Fill and Seal: this is a type of machine that is growing at a fast pace within the industry. This machine is designed for premade pouch fill and seal. Some machines perform this is in a rotary fashion while there are some that work in a straight-line method. Rotary machines have the benefit of taking up limited floor space and therefore are preferred by manufacturers. Auger filler: this is the filler that is most commonly used if your product is some type of powder. It uses a screw-like instrument to measure varied quantities of products as it goes into the bags. Multi-head scale: this is the filler used for solid product contents. It is incorporated with a set of buckets to weigh the products before filling the bags with the content. Liquid pump: this, as the name suggests, is used for filling packets with liquids. It uses a piston mechanism to measure the volume of the liquid before pumping the packets. Through this section, we have covered the machines that are involved in manufacturing flexible packages. It is very evident that these machines are designed to take up limited square space and deliver the product in a very cost-effective manner. As mentioned at the start of this article, this is one of the major reasons for manufacturers to switch to flexible packaging for their products. This brings us to the final section of this article. Every machine has certain key specifications that need to be followed in order to ensure optimum working efficiency of the machine. Similarly, flexible packaging machines have certain specifications too, and it is important to understand these. Speed: packaging machines are rated in terms of speed, or in technical terms throughput. This is the metric that determines the number of finished bags that can be accomplished by the machine in a given time frame. The unit used to describe this measure is bags per minute (bpm). The speed will be determined as per the bags per minute unit, however various factors that could affect this metric include operator skills, product content properties, bag types, and plant environment. Bag parameters: this is depicted by width, length and depth in millimeters (mm). This is the constraint that determines the bag size of the finished package. Some machines are capable of accommodating large sized bags while some work well to produce small sized packages. These machines can also have a weight parameter, indicating that the machine can support only certain weighted bags. Bag types: another constraint is bag types, which determines the type of package that the machine will be able to produce. Certain machine models can only produce one type of package. Electricity and air requirements: these machines need adequate levels of air and electricity supply to carry out unhindered production of the packages. The machine usually comes with a specification sheet that guides you to ensure an adequate supply of these two elements. Through this article, we have covered all the major elements that help understand flexible packaging. Choosing the right type of packaging for manufacturers is very essential in order to ensure that they retain their position in the industry. Packaging is a key element, and with the use of flexible packaging, manufacturers are able to produce quality packages at a feasible cost.